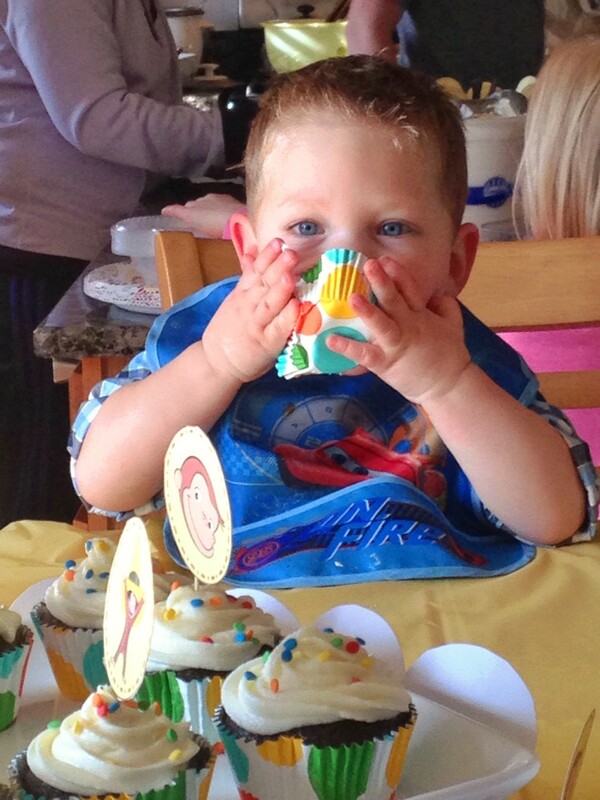 Last week we celebrated my son’s 2nd birthday. 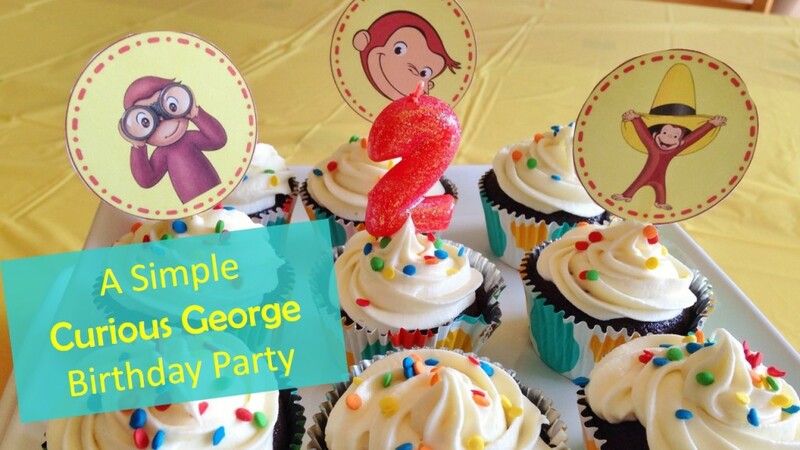 Since he loves Curious George so much, I decided to throw him a Curious George themed birthday party. 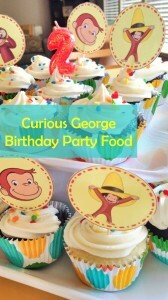 For several nights I scoured Pinterest and googled Curious George ideas. Oh, how overwhelming it was. The details that people put into parties is so unbelievable. Maybe you’re one of them! 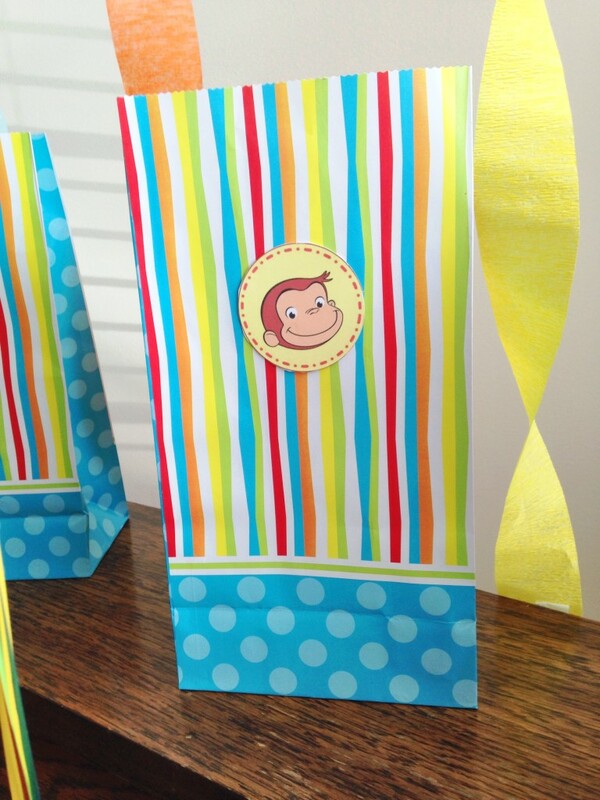 However, I am not so artistic, and while Etsy has so many super cute ideas, I just couldn’t afford to buy every banner and cute Curious George decorations that I saw. I also knew that, as always, we had a lot going on and my time was limited. I wanted to keep it simple. So I narrowed down my choices. First things first were the cupcakes! I found the sprinkles and cupcake liners at Walmart and used them to set the color scheme. I purchased balloons and streamers from Party City, and found some super cute favor bags at Michael’s Craft Store. The Curious George tags were purchased from Etsy. 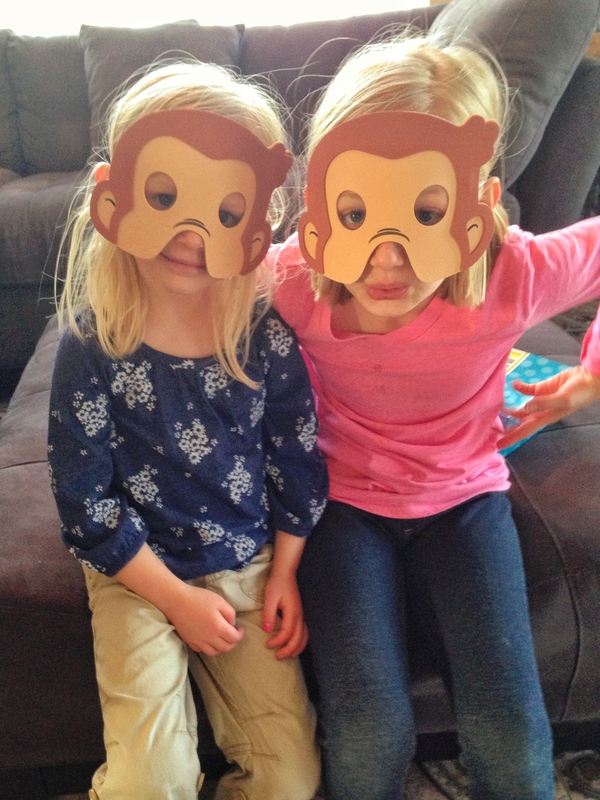 Then I found these Curious George masks on Amazon (I had gift cards that I earned through Swagbucks so I didn’t really have to use any of our own money), although you can order them from Party City as well (I couldn’t find them in the store). I found the Cupcake Toppers on Etsy (these are what I used for the favor bags as well). This week I’ll be sharing our Curious George Party Menu, as well as recipes for the perfect chocolate and vanilla cupcakes. So stay tuned! You can follow me on Facebook or subscribe to receive email updates if you don’t want to miss out on posts. This entry was posted in Family and tagged birthday party, Family. Bookmark the permalink. So cute! Love the color scheme and the monkey masks! 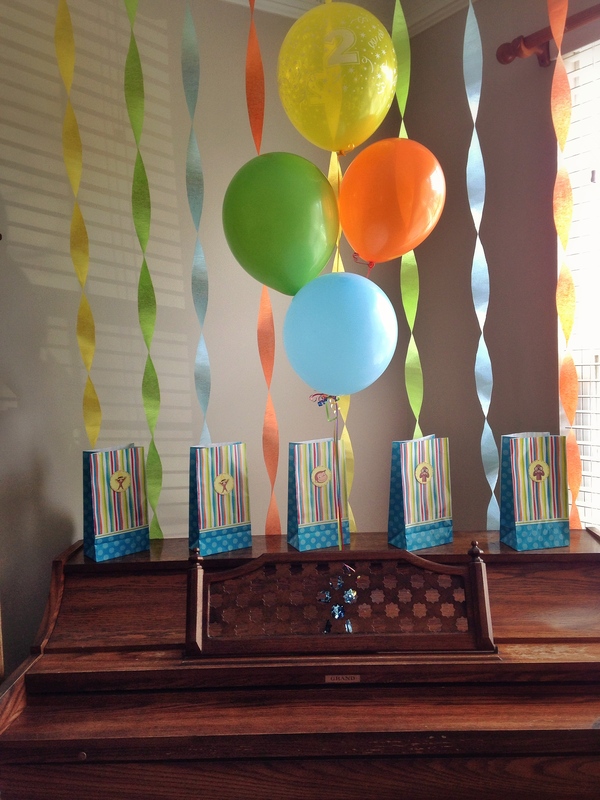 Happy birthday to your son! Stopping by from Titus 2’sdays link up. This is just too cute!! might be the perfect party for my soon to be 2 year old. Pinned it! Hi Christie! 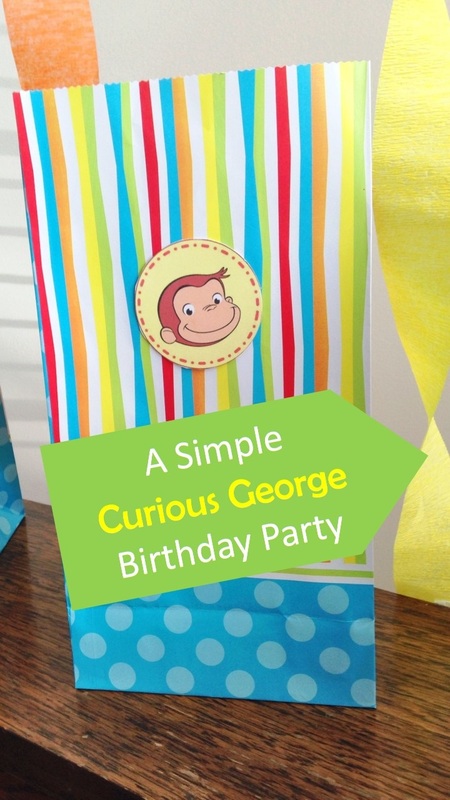 What an adorable party and Curious George will always be one of my very favorite characters! Thanks so much for sharing at Best of the Weekend and pinning. Wishing you a happy and fabulous Mother’s Day!